Large, open living areas – big enough for year round or seasonal families – situated across from the Warriors Mark open space, and an easy walking distance from downtown Breckenridge are attributes that make the Amerind townhomes for sale attractive to home buyers. Buyers might also find their small yards pleasant, and common maintenance a convenience. Two homes will be end units, but overall there is no difference in floor plan or square footage in any of the Amerind Townhomes for sale: all have three bedrooms and three baths, a garage and a large basement. The view to the west is unobstructed, so Amerind gets long afternoon sun. And big windows and the open floor plan take advantage of it. Across the street is the Warriors Mark neighborhood open space, and through this runs the Blue River. Check out the Amerind Townhouse listings below, or learn more about owning a townhome in this beautiful subdivision. 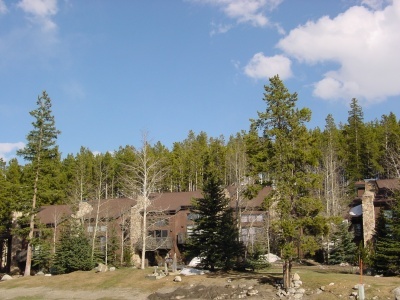 Amerind is an easy one half mile walk to Main Street Station, the southern edge of downtown, and the neighbor of the Village at Breckenridge, which is the walkway to the base of Peak 9 of the Breckenridge Ski Resort. The free town shuttle bus makes it a quick ride to this or the other mountain base areas. Walking and biking trails provide access to national forest and town. Fishing on the Blue River is a privilege that's easily used by owners of any of the townhomes for sale in Amerind. From the southern most stoplight in Breckenridge, at Boreas Pass Road, take a right and head west on Broken Lance Drive to Amerind Towhomes at 296 Broken Lance Drive, which will be on the left. 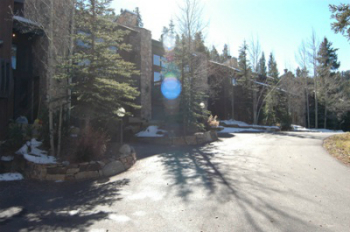 Send us a message, or call us at (970) 453-2200 to talk about owning an Amerind Townhome in Breckenridge, CO.